Russian President Vladimir Putin has arrived in Hungary on a visit for talks with Prime Minister Viktor Orban. Russian presidential aide Yuri Ushakov told the media on Feb. 1 that first Putin and Orban would have one-on-one talks. Wider negotiations involving delegations will follow. After that Putin and Orban will speak at a joint news conference. 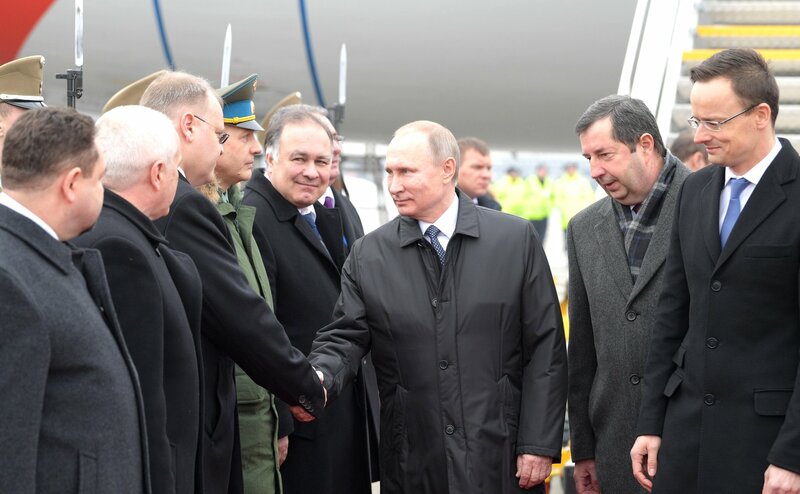 Ushakov said that taking part in the talks would be the heads of Russia’s ministries of industry and trade, energy, economic development, and health and nuclear power corporation Rosatom. The visit will end with the signing of a plan for consultations between the foreign ministries for 2017 and a comprehensive program for inter-regional cooperation for 2017-2022. The Kremlin’s press-service said that "major joint projects in the trading and economic sphere and steps to strengthen cultural and humanitarian ties" would be one of the most important themes on the agenda. Ushakov recalled that over the past three years anti-Russian sanctions and instability in the world markets caused Russian-Hungarian trade to slump by half to $3.9 billion in January-November 2016. Many issues Putin and Orban are to discuss will be related to international problems. "Naturally, Putin and Orban will discuss the Middle East, Syria and Ukraine, including the latest developments near Avdeyevka," Ushakov said. He added that the two leaders would consider the main issues related to cooperation between Russia and the European Union. "In part, the discussion will concern restoration of relations between the European Union and Russia," he explained. "Hungary plays a rather positive role in that respect."